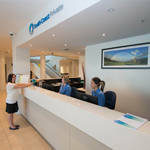 By train- Wollongong Station is a short 5 minute walk from South Coast Private. By bus- There are two nearby bus stops on Crown Street and Burelli Street. By car- There is a drop off bay at the front of South Coast Private, metered parking is available in surrounding streets. 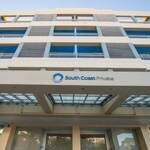 South Coast Private is a new private mental health facility in Wollongong, providing Wollongong and Illawarra residents with the opportunity to access high quality patient care in a supportive environment. South Coast Private offers high quality mental health services and treatments including Anxiety Management, Depression Management, Substance Withdrawal and Addiction Recovery programs.